Potchefstroom, South Africa: Sean Williams hit a quick 41 to lift a struggling Zimbabwe team in the second Twenty20 international against South Africa at Senwes Park on Friday. Williams´ 28-ball innings was a lone highlight as Zimbabwe were restricted to 132 for seven after winning the toss and batting on a pitch which looked ideal for run-scoring but which had some variable bounce. South Africa´s pace bowlers held sway, with Lungi Ngidi, Dane Paterson and Robbie Frylinck each taking two wickets. Shamsi was South Africa´s only specialist spinner following a decision to rest leg-spinner Imran Tahir, who was man of the match after taking five for 23 in South Africa´s 34-run in the first match in East London on Tuesday. 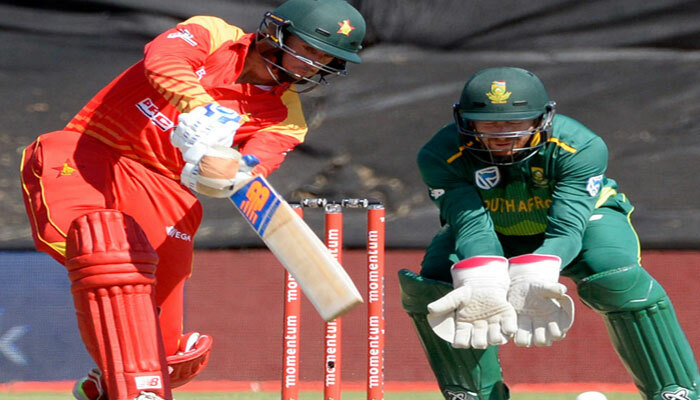 Williams´ assault on Shamsi came after Zimbabwe scored only 73 for four in the first 14 overs. But the left-handed Williams fell in the next over when he was bowled by Paterson.